Description : Technip is a world leader in project management, engineering and construction for the energy industry. From the deepest Subsea oil & gas developments to the largest and most complex Offshore installation and Onshore infrastructures, our 30,000 people are constantly offering the best solutions and most innovative technologies to meet the world’s energy challenges. Technip Oceania Pty in Perth, Australia, services Onshore, Offshore and Subsea oil and gas segments in the Oceania region, encompassing Australia, New Zealand, Papua New Guinea and New Caledonia. Technip's Perth office was established in 1995 and currently employs a wide range of personnel across the region, the majority of who are specialists in a wide range of engineering disciplines. Technip has a proven track record in the provision of engineering services, project management, project execution and delivery in Oceania. 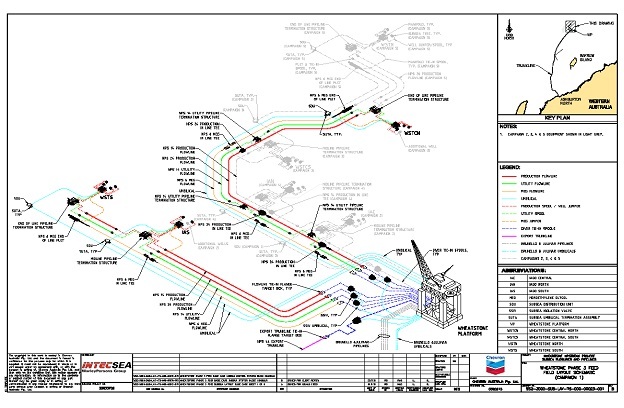 Technip Oceania Pty has been awarded the Subsea Installation Contract by Chevron. Scope. Vessel performing the spool metrology. Vessel type DP2 vessel cw 1 or 2 Work class ROV. Date Q3 2014. Duration 20 to 30 days. Audit Compliance LOC OVID CVX ABU.